Hello all, wish you a very Happy New Year 2019. We are already approaching the end of January and I am sure you all have made your goals for 2019. Some of you might have started already on planning how to achieve those goals which is great. If you not, you can get some inspiration from my goals about what you can learn in 2019. Anyway, If one of your goals is to learn Web Development or become a Web Developer in 2019 then you have come to the right place. I can help you to achieve your goals. 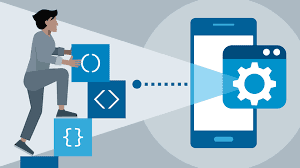 There is no doubt that Web Development is a very exciting career and financially rewarding as well. If you are good at creating web apps you can also create your own website and your own business and become an entrepreneur. 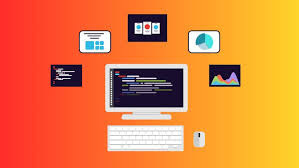 Web Development is also very important from freelancing part because you will find a lot of jobs on sites like Upwork which needs a web developer or involve some sort of web development work. Now, coming towards how to learn Web Development in 2019, what is the best way and how you can follow that. Well, there is no doubt that doing the actual work is the best way to learn. So, if you want to become a Web Developer then develop a web application but that's easier said than done. That's why it's better to start with a comprehensive book or online course first. They will provide you all the necessary information and teach you all the technologies needed for a web developer. Earlier, I prefer books, but from last year, I have totally focused on online courses as I have found them better on learning. They provide more active learning then just reading books and you also get to know important stuffs quickly, but it's very difficult to choose the right course, and that's where this article will help you. Btw, if you are in hurry and can't read the whole article, just start with The Web Developer Bootcamp by Colt Steele on Udemy. 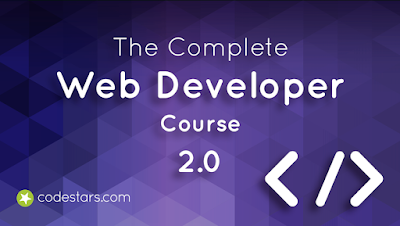 The best course to learn Web Development. If you have time to checkout and review some of the best courses, let's start. The Internet is full of online web development courses and if you stuck in a wrong course then you end up losing both your time and money. That's it's very important to choose the best course and stick with that until you learn fundamentals. I have done some research on this regard and I am going to share some of the best online courses I am currently using to learn and improve my Web Development skills. Yes, you can take them even if you are familiar with Web Development to fill gaps in your learning. They are great for both beginners and intermediate web developers. This course is the bible for Web Developers and probably one of the best course on Udemy. The instructor Colt Steele has done and excellent job on covering all the technologies needed for web development. One of the important aspect of choosing a right course is not just content but also the instructor because if you can't connect with the instructor or he is boring, slow, or less enthusiastic then you won't learn anything. As Colt says, "This is the only online course tought by a professional bootcamp instructor", his experience as bootcamp instructor really shows on this course. Since it not only teach web development but also how to code, it covers Git and Github, Database, and back-end technology. So, it's also great for someone who want to become a full-stack web developer. Talking about the social proof this course has got on average 4.6 rating from 376,699 students, which is phenomenal and speaks a lot about the quality of course. On the flip side, the course will do a lot of good on updating a few outdated video and that's where the next course on this list helps. This is another fantastic online course from Angela Yu, another professional boot-camp instructor. I first come to know about Angela Yu when I joined her iOS 12 Development course and from there on I have become her fan. She is one of the best instructor on Udemy and her clear, simple explanations, interesting slides, enthusiastic presentation style, and a wonderfully easy-to-listen-to voice just makes her course more awesome. Content wise also her courses are one of the best. This particular course has around 40 hours of content and covers all the technologies you need as a web developer. She also touch Linux command line which is another important skill for any web developer along with deployment. The course is also very hands-on and you will develop a web application by yourself. In short, one of the best and awesome course to learn Web Development in 2019. It has also got on average 4.7 rating from 30,446, which makes it the highest rated course on Udemy. If for some reasons you cannot connect to Colt Steele or Angela Yu then this is the course you should join. The instructor Rob Percival is another gem of instructs and has excellent teaching skills. Like the previous instructor, he is also clear, simple and easy to understand. I also come to know about him from his iOS Development course which is also an excellent resource. On the backend site, it covers PHP, MySQL, and Python. If you like Python then that backend stack is best for you. Like all Rob's courses this is also very hands-on and full of quizzes, practice questions and exercises. You will also learn to use powerful APIs like Google Map and Twitter which is essential for modern web development. Apart from that, you will get a free one year web hosting, 3 professional looking Bootstrap themes, and a copy of his best selling book, How to Earn $1000 While Learning to Code, and 5 free certification from CCA (The Cambridge Certification Authority). Talking about the social proof, this course has got n average 4.5 rating from 201,803 students enrolled, which is very impressive. Overall an excellent course to learn Web Development in 2019 and become the Web Developer you always wanted to be. Well, then this course is for you. This is another massive course by Colt Steele and his steam with over 34 hours of content and covers a wide range of advanced web technologies like CSS Animations, Flexbox, React, Redux, SVG, Data Visualization with D3 etc. As Colt puts it that this course can easily be divided into 4 to 5 course but you get all of that in just one course, paying the price of just one course. This also means that you don't need to finish this course from start to end, you can choose a different learning path to learn the things you want now and comeback later to learn other things. For example, you can start learning React Now, and comeback later to learn testing with Jasmine. Like other bootcamp courses from Colt Steele, this is also has a lot of exercise and quizzes to make sure you understand and grasp those advanced concept. Talking about the social proof, the course has got on average 4.4 rating from 47,584 students, which is simply great. This is another beginner course for web developers but it's not from Udemy. I also have a Pluaralsight membership so I also learn there and this is one course I found which is great for a beginner web developer. This course gives you the skills you need to be a professional web developer in 2019. Btw, you would need a Pluralsight membership to access this course, which cost around $29 per month and $299 annually (14%) saving. I have an annual membership and I can say that it's totally worth it because it provides access to more than 5000+ courses on latest technologies along with quizzes and exercises. If you already have a Pluralsight membership then you should join this course and if not then at-least take this course as part of their 10-day free trial which allows you to watch for 200 minutes. That's all about some of the best online courses to learn web development in 2019. As I have said, the first three course is very similar in nature and you just need to enroll on one of them. I suggest you either join Colt's course or Angela's course depending upon who do you connect better. Once you are comfortable with Web Development basics, you can join the fourth course "The Advanced Web Developer Bootcamp" to further level up your skill as Modern Web Developer. Thanks for reading this article so far. IF you like these online web development courses then please share with your friends and colleagues. If you have any questions or feedback then please drop a note. P. S. - If you are keen to learn Web Development but looking for some free resources to start with, you can also check this list of Free Web Development Courses for Beginners.